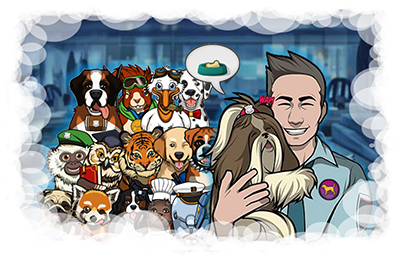 In Criminal Case Police dogs, cats, monkeys, goats and many other pets can help you get additional rewards. Feeding your pet will help it grow. As your Police Pet grows the rewards it collects grows too. At the end of a crime scene, your pet will search the scene, and depending on the pet you adopt, they have a chance to reward you with coins, lucky cards, xp points, free energy in varied amounts or as orange juice or chips and more. Have you adopted several pets? Is feeding them slowing you down? Don’t despair let this Criminal Case Tool feed your pets for you. Multiple Pets can have real advantages to your gameplay. Switch which Police Pet you have searching depending on the reward you need. The faster your pets grow the better the rewards they will find. Use this Criminal Case Feeder to Automatically Feed your Pets until they are full grown. How To Get Your Criminal Case Signature & ID : See This Tuto Click Here. Do you use Chrome and this not works? See This Tuto Click Here.